Rent villas and apartments in Riviera Del Sol - Fase II, Spain with swimming pools. Book affordable holiday rentals that are near a golf course. This 6 bedroom villa with swimming pool is located in Riviera Del Sol - Fase II and sleeps 14 people. It has WiFi, a garden and barbeque facilities. This 4 bedroom villa with swimming pool is located in Riviera Del Sol - Fase II and sleeps 8 people. It has WiFi, a garden and parking nearby. This 4 bedroom villa with swimming pool is located in Riviera Del Sol - Fase II and sleeps 9 people. It has WiFi, a garden and parking nearby. This luxurious apartment has been thoughtfully furnished with a stylish decor and utmost attention to detail. It boasts a large window. 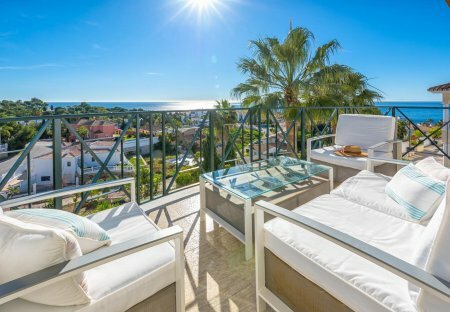 This comfortable 2 bedroom holiday apartment is located in the beachside complex of Rocas del Mar, Riviera del Sol. This house with swimming pool is located in Riviera Del Sol - Fase II and sleeps 6 people. It has WiFi, air conditioning and a garden. 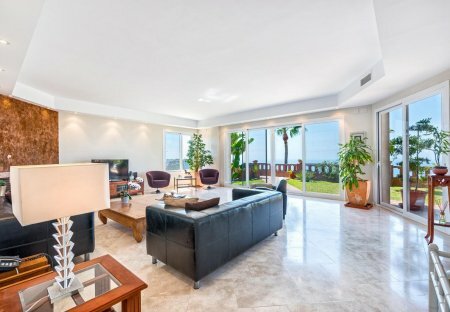 This apartment with swimming pool is located in Riviera Del Sol - Fase II and sleeps 5 people. It has WiFi and air conditioning. This apartment with swimming pool is located in Riviera Del Sol - Fase II and sleeps 6 people. It has WiFi, air conditioning and a garden. The apartment is walking distance away from swimming spots. This apartment with swimming pool is located in Riviera Del Sol - Fase II and sleeps 6 people. It has WiFi, air conditioning and a garden. This apartment with swimming pool is located in Riviera Del Sol - Fase II and sleeps 6 people. It has WiFi and air conditioning.